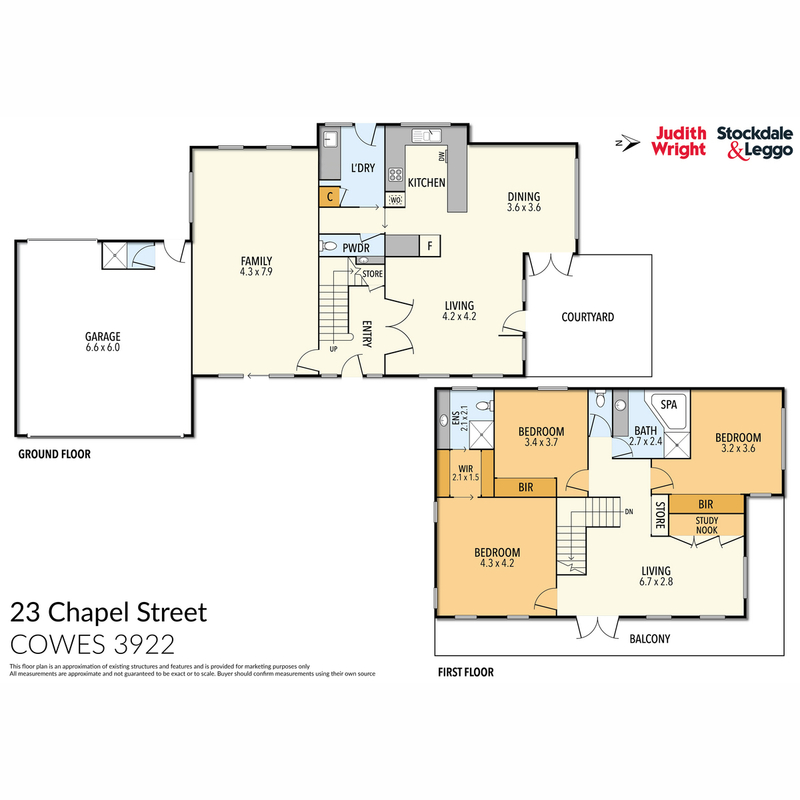 Located in Central Cowes only a short stroll to the main street and approx. 180 metres to the sandy shores of Cowes north facing beach - this tightly held pocket of Cowes is well sought after and a brilliant location for either holiday or permanent residence. The property features three good sized bedrooms, master with ensuite and three large living areas. The open plan kitchen dining area is on the ground level and looks out onto the landscaped gardens. Being a north facing block, the property is filled with natural light. There is a full double garage and a north facing paved pergola area, perfect for the family BBQ. There is an outdoor shower and WC to rinse yourself off after being at the beach. The property is situated on a 1,015m2 (approx.) parcel of land with the potential to subdivide off the rear of the property (STCA). The local football and netball clubs are just around the corner, as is the local YMCA and skate park for the kids. Leave your car at home and simply walk everywhere!